We offer free Activities for teens aged 12 – 17 year old. 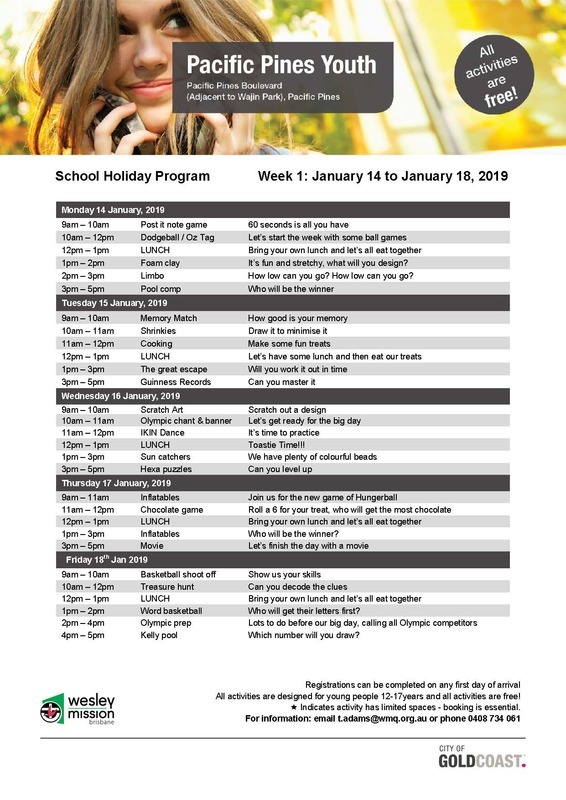 We have, Cooking, Craft, Inflatables, sporting activities, and so much more fun planned for these holidays. We are a free program, we only ask youth bring their own lunch. We also ask our registration form be filled in by the youths first day, which can be collected at our youth hubs or via email.